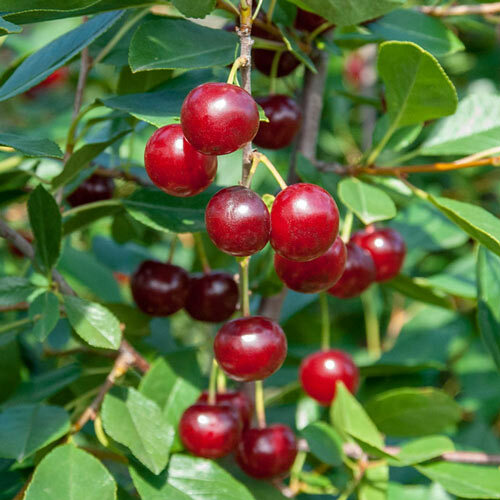 Juliet's cherries with rich, complex flavor are a favorite for eating fresh, but are delicious when used for baking, jams and ice cream, and freeze beautifully. 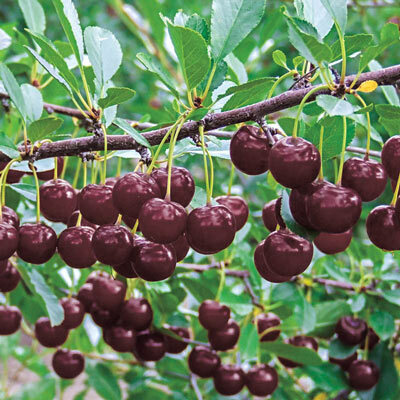 Growing just 5-to 8- ft. tall, Juliet is a breeze to care for and harvest, yet still yields up to 25-lbs. of fruit. Plants are attractive incorporated into the landscape or planted in large containers. Abundant, white flowers, glossy green foliage and attractive bush habit allow it to double as an ornamental. Self-pollinating.